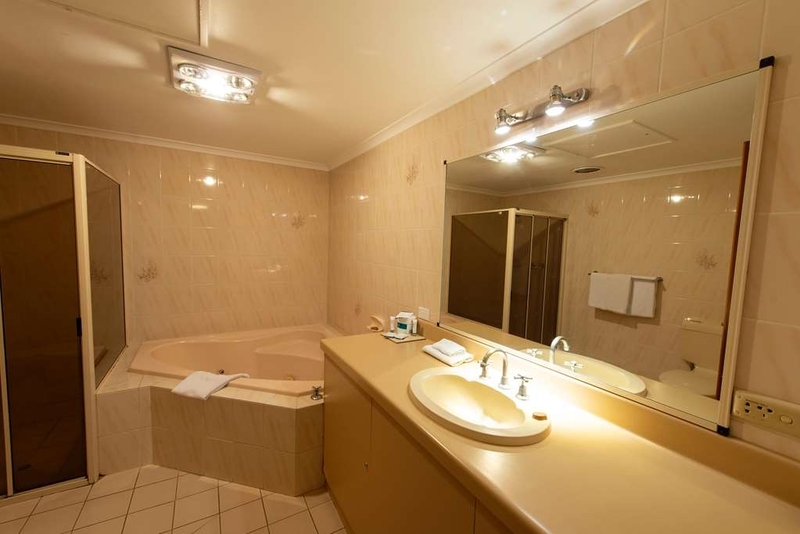 The Best Western Southgate Motel is ideally located in the center of Mount Gambier. Come and experience our hotel near the major tourist attractions. Best price guaranteed and exclusive deals. 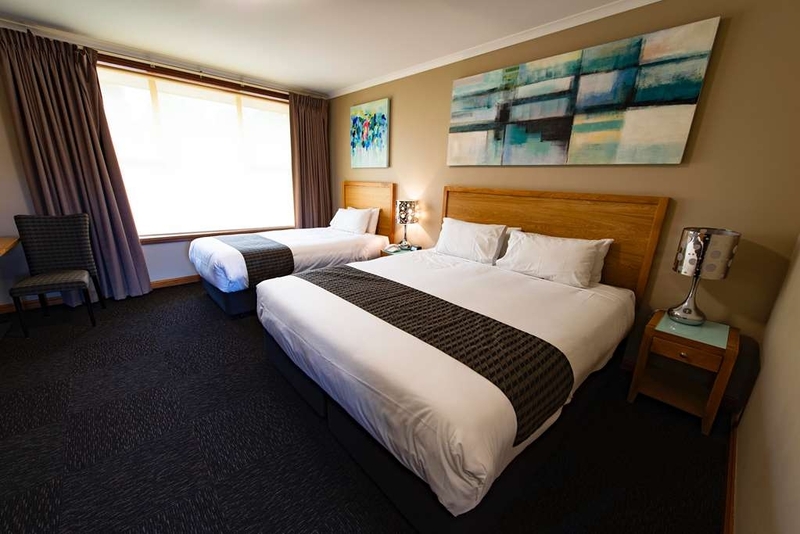 Stay at this comfortable and affordable Mount Gambier motel located near Blue Lake, Crater Lakes and Coonawarra wineries. Welcome to the family owned and operated Best Western Southgate Motel in Mount Gambier. Guests staying at this four star motel will be ideally situated for exploring mysterious Blue Lake, an extinct volcanic crater which contains crystal clear water that changes color from somber blue to a brilliant turquoise throughout the year. The Best Western Southgate Motel proudly offers standard, deluxe and executive rooms with free cable TV and high-speed Internet access. This Mt. Gambier motel's additional amenities include an elegant onsite restaurant and bar and an outdoor heated pool, spa and sauna. 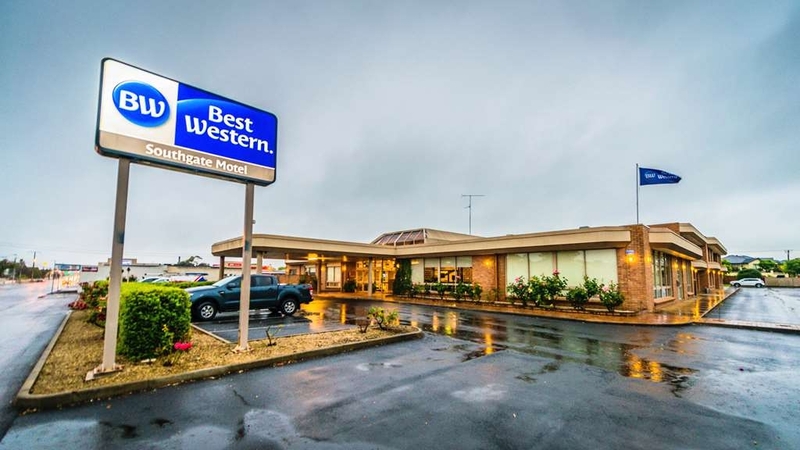 Best Western Southgate Motel is close to a variety of local activities including shopping, aquifer tours, cave tours, scenic flights and horseback riding. 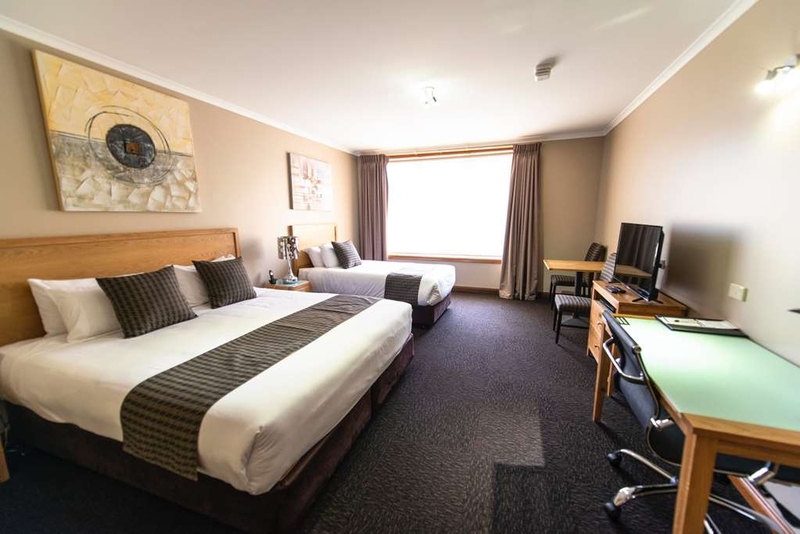 For excellent accommodations, value for money and a fantastic location in Mount Gambier, make a reservation at this Mount Gambier motel today! We agonised over where to stay in the Mount as so many of the motels had such mixed reviews on trip advisor...in the end we just took a punt and pulled into the Best Western. We were welcomed with a friendly smile by Jessie who accommodated our request for a quiet room. The room was lovely, refurbished with comfy king size bed and quality curtains that kept the room dark for sleeping. 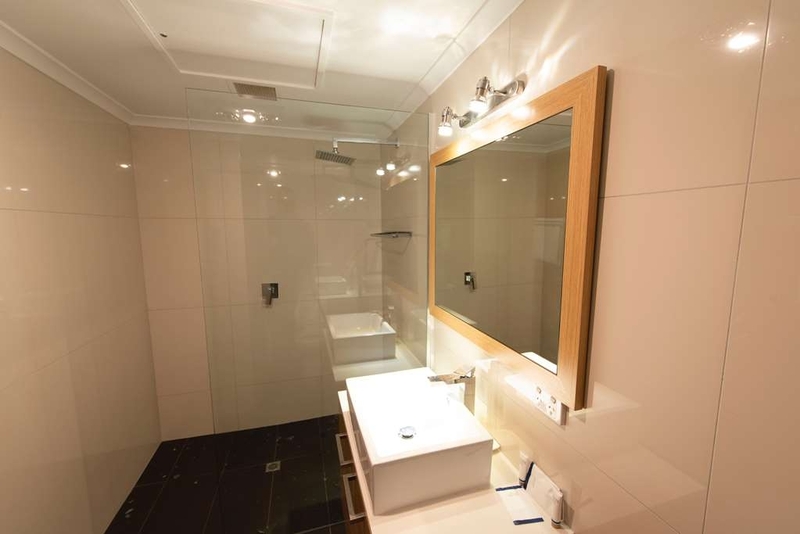 Fabulous water pressure in a good size walk in shower and space to sit and have a drink or lounge to watch the tv. Very well priced mini bar but only a short walk to plenty of pubs and restaurants too. Restaurant was closed when we were there so can't comment but all in all a lovely stay and would definitely recommend. The room was excellent - modern, clean with high speed internet. We unfortunately had a noisy cricket that somehow had made its way into our room! The desk manager responded immediately and removed the culprit, so it was quite amusing. All in all a great place to stay. Nice dark rooms and very comfortable bed. Stayed one night as a couple, part of a much longer trip. Reception friendly and reasonably informative. Had a superior room, which was very large. All facilities OK, but overall a bit dated. There are notices saying a renovation is planned. Pool was welcome after a long drive. It is next to a busy road, but double glazing worked so slept OK. Ate in the restaurant for convenience. Plenty of adequate food, but certainly not ‘fine dining' but then it doesn't try to be. OK hotel. Would stay again in same circumstances. Tip. If you go to see the possums at the nearby sunken garden, go just before fully dark, and take some fruit, especially grapes. They will take it from your hand. I rarely gave 2 stars review but this is exceptional. Where to start. 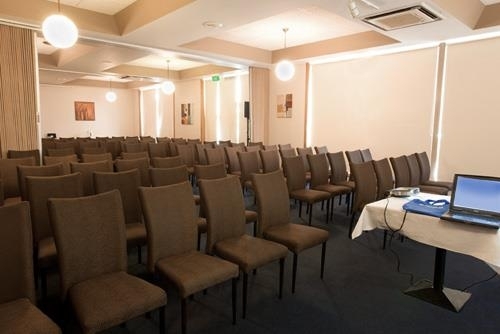 Overall room was spacious, good choices of foxtel tv channel, comfy bed and generous amount of tea and coffee provided. But, we booked supposedly renovated deluxe king room as advertised in photos but was given dated executive room with dated jazucci spa as compensation. Okey, not that i bother since just for one night even bathroom has big tiles crack on the floor that we decided to cover with floor towel. But after shower just realised that the room facing main road with big trucks and trailers passing by every minutes. Very noisy and whole the room shake! We were driving from Melbourne to Adelaide and this place should have been ours rest stop of the night. Another thing is, our room didn't get any wireless connection at all so this is false advertisement saying free internet are cover within the building. If i have to check my email, i need to walk down to corridor toward reception. Plus, we check out around 9 am and the check out took more than 20 minutes since they insisted to sent staff to check the room and mini bar. Oh boys, avoid this hotel at any cost. After a terrible start to our trip, the staff at the Best Western put a smile back on our faces and saved our trip from disaster. Check in was easy breezy, staff were lovely and inviting. We stayed in a newly refurbished room and it didn't disappoint. Pool was lovely and clean, gardens were beautiful and maintained. The whole hotel was spotless and clean. I would definitely stay here again. Thank you again Best Western! Its a typical Best Western that has had better days. The rooms are old, carpets and curtains worn out. But they are starting some renovation. The pool is ok, nice little "inner yard". OK for one or two nights. "Nice stay - but we were in a renovated room"
Definitely few frills and evidence of neglect, but showing signs of improvement. We stayed in one of the newly renovated rooms for a little bit extra. The breakfast was good even though the stressed member of staff when we stayed was having to look after both the reception desk and the restaurant itself! Clearly a coach tours stop off (and nothing wrong about that except for the fact that it means additional staffing is needed and independent travellers need attention too. If the owners keep putting money into the property, things will get better -- I encourage them to do so. Location is close to town, room was spacious and clean, attention to thought and detail noticed, water was hot for spa and the breakfast was delicious and one hundred percent for presentation of breakfast. Thank you again for a great stay, see you in November for our Christmas shop weekend. D and N.
"No frills ,friendly and comfortable"
Large clean room. No facilities other than kettle and Nescafe 43 . TV fine. Wifi poor but better closer to front desk. Helpful staff. 1.4 km from city centre. Good restaurant. Will stay there again. Microwave would be a boon. We stayed in the three bedrooms apartment there for one night. The whole apartment is old and undated. Coaches and floor are so dusty and it triggered my son's asthma! If you travel with little ones definitely not recommended! "Decent Hotel for the budget"
I've stayed here a few times now and it's always been great for the budget. I'm usually only there for a night as on way to Melbourne of the great ocean road. Rooms are decent. The mini bar well stocked (Well, until I'd finished with it anyway). Location I'm not too sure about as like I say I'm usually on a road-trip so don't tend to venture out. There is a bar/restaurant although they always look deserted to me! Never actually used them. Thumbs up. 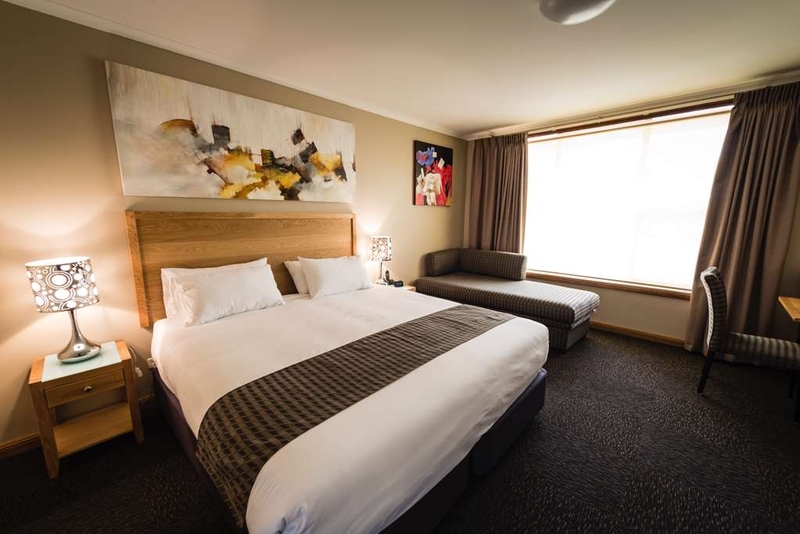 "Nice quiet visit, Amazing rooms"
We came to Mount Gambier over the weekend and we always try to stay at Best Western's when we can and this was certainly one of the best. We stayed in the new renovated rooms and everything was just neat and very up to date. the service was very friendly. They have movies in the reception area which kept the kids very happy. Stayed at the Southgate motel for generations in jazz this year and I have to say, it was excellent. The refurbished rooms were ver comfortable and the service from the staff was friendly and they helped me with any questions I had. Already rebooked for next year. We were so well looked after by the power operators. There was an issue the hot water and their response was amazing, something that others could learn from. The hotel was clean and comfortable and convenient. 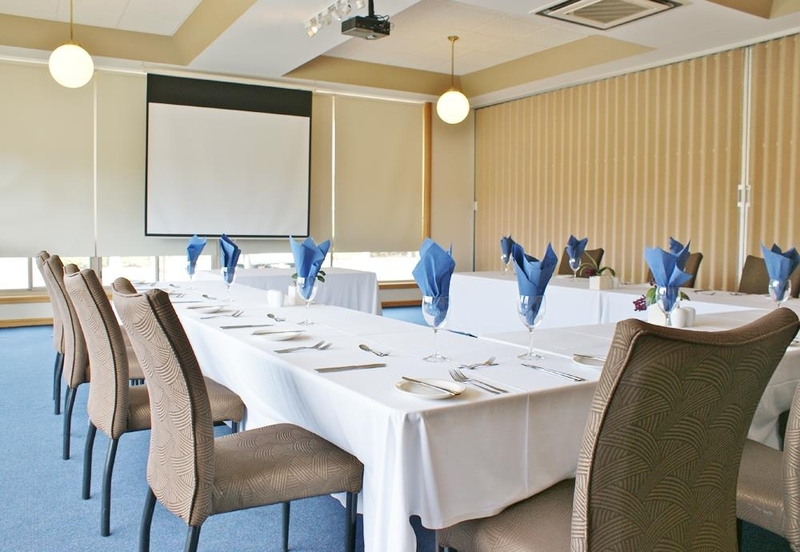 "Reasonable value, on site restaurant"
Good size room, comfortable beds, decent on site restaurant with enough variety to suit most travellers, ample on site parking, pleasant staff, "O" shaped building with pool and some green space in the middle. Big Woolworth a block away. Did not try breakfast. Location not in centre if town, so no congestion. Brand new refurbished rooms, the best rooms i have stayed in since visiting Mount Gambier. Luxurious king bed was a delight. Great water pressure in the showers and a modern design that made the whole hotel seem professional and very comfortable. Came here for a business trip and I was very happy with the hotel. Clean, tidy rooms with everything that you need and the staff are prompt and helpful with any requests. Will make sure I come back next time I'm in town. Fantastic meals, great service from the waitresses. Incredible renovated rooms and very friendly and informative staff. Perfect trip all round. Will definitely be back and will highly recommend. Thanks for having us. We stayed in a renovated room, it was modern, clean and huge. Great lareg shower head in bathroom. Staff friendly and helpful. Good location close to town centre and walking distance to a couple of pubs. Free parking and WiFi Great value and would stay again. Came for a quick business trip into the area. The staff were friendly, it was great to have a chance to take a dip in the pool, the room was recently renovated and comfortable and the dinner very nice. Value for money. Clean and neat. Motel currently being updated and will benefit from the upgrades. Great central location for attractions, shopping and touring. Recommended for small families or couples. I have stayed at this property for business on several occasions and it just keeps getting better! Recently renovated rooms including bathrooms, are fantastic, beautifully appointed with quality fittings and one of the most comfortable beds I have slept in on my travels. Large spacious room with chaise lounge for relaxing and proper office chair at work desk area, makes for comfort and ease when catching up on work in your room. Fast, steady internet which is free and big screen TV. 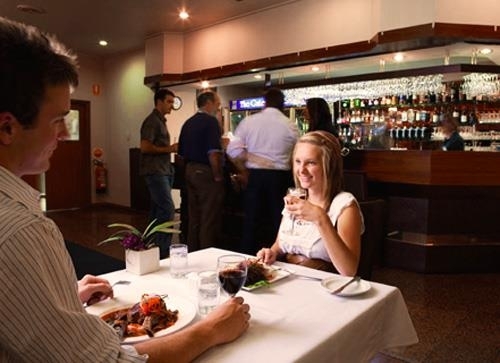 The restaurant is great with delicious meals served promptly and with a smile. Can highly recommend this property for anyone looking for spacious, modern rooms with an excellent restaurant on site. "Great place for a wedding"
I recently attended a wedding reception here and it was done fantastically. The staff were efficient, helpful and very friendly. The food was fantastic. The room was clean and tidy which allowed for it to be nicely decorated. I would recommend this as a place to have a reception. I did not stay here so can not comment on the accommodation. Good and centralised place to stay. Room as well as bathrooms were clean and neat. Staff was friendly and helpful. ample parking space for your vehicle. I have not been to the restaurant but it has all the facilities for family. "Hotel with a pool great for the rare hot days." The refurbish rooms are great good size with an extra large (king) comfy bed. the hotel has a heated pool and on this occassion (hot weather) very enjoyable and relaxing to have a rare swim in theMount after a long day at work. Some rooms are being refurbished but there is a lot more wrong with this place than just old rooms. Every window was covered in cobwebs and so dirty you couldn't see out of them, thought I was in a Harry Potter Movie set. The whole motel needs a complete clean from top to bottom. The broken power point in our bathroom looked deadly and I would not use it. The shower/bath fixtures were green with some growth and the grout was mouldy and I felt I would catch something if I touched them. I used the laundry and the dryer wanted $7 (not $4 as I read in the in-room folder) before it would start. When I went and got the man he was very condescending making me feel a cheapskate for asking that the motel contribute the extra $3 to get the dryer started. He said there was something wrong with it (which was obvious at $7) but he made no mention that they were getting it fixed. (Bonus for them I guess if people put in $7). The laundry iron didn't work properly either and constantly spat dirty water. Would never stay here again and could not recommend, I am sure there are cleaner motels in Mt Gambier to pick from. "Most disappointing Best Western I have stayed at, just "Mean""
The best word to describe this hotel is "mean". Apart from the check-in staff, everything else was just below standard. From the lights in the corridors at night (so dim as to possibly be a risk during a fire), to the closure of the reception at 9.00pm, leaving two residents with key card problems to have to call the owner to come back to the hotel. Only one face flannel and one worn-out hand towel (two of us in a suite! ), two bottles of Conditioning Shampoo and no shower gel or body lotion, Wi-Fi did not work in our room, pillows were rock hard and bedding generally cheap, the mattress was far too soft and like jelly. They do have renevated rooms, but not worth the extra $40. Never stayed in such a bad Best Western before, a let down for the Franchise. "Fantastic customer service and great food"
We stayed here overnight just passing through and Justin at reception was fantastic. Nothing was too much trouble from giving us room options, showing us rooms, right down to getting us some real milk! The room service from the restaurant was delicious and reasonably priced. We would stay here again. "Friendly enough, but outdated and needs repair work done all over." Stayed in Room 204 from Fri 29th to New years day. Signs on desk and in rooms about the reno happening to each room, which is much needed. Very friendly staff. We had dinner on the friday night, which was not the best. I had the pork korma, which had clearly been frozen and defrosted, still cool in the middle of the dish. My partner had the chicken parma with the bbq sauce topping, which was a bit burnt. But the staff were so friendly it was difficult to complain, so we didnt. Sink in room had a dodgy tap. Shower was excellent. Rooms need a good refurb. Wifi dropped in and out but fast when working. Aircon struggled to work, opened the window as room became stuffy. Excellent curtains to keep morning sun out. The door to the pool area was stuck due to a broken gas strut at the top, multiple times children had trouble getting through. Definitely a safety hazard. I too had to push the strut up to get the door to open. Sauna didnt appear to work and the bathroom in the pool area had holes in the walls. Pool was used a few times. At 10 on the dot today our phone was ringing as we were walking out the door, then someone knocking at the room door... we were basicallly pushed out of the room to check out and pay the dinner tab, so that left a bitter taste to the end of the weekend. Especially considering that each day we'd return to the room to have a break and rooms werent serviced until 3pm each day. So not sure about the rush. I think once the hotel is refurbished it will be a better stay. Not walking distance to CBD, need a car or cab. Stayed for 2 nights in recently upgraded room. Bathroom was lovely and spacious - no bath. Room was comfortable although the bed was a little soft for my liking. Staff were friendly enough only 1km to town centre & easy to get onto main highway in and out of Mt Gambier. Food from the restaurant was good and service adequate. Large pool, spa & BBQ area at guests disposal. Would stay again in newly refurbished room. Property very dated, note in room advising all rooms being upgraded over the next few months. room spacious, onsite parking outside room. Within walking distance to main town centre, car journey to tourist attractions. WiFi responsive but times you out every now and again, had to log back onto network. Clean and tidy all facilities required in the room. "Poor quality motel allegedly under renovation"
Stayed here for one night whilst travelling from Adelaide to Melbourne. The motel is a fair way from the centre of town so if you stay here you need a car. There is free parking. Cons: - The guy at the front desk was very abrupt with my friend so you don't feel welcome. - Motel is dated and very old. It smells old. There is a sign up indicating renovations are underway but we didn't see evidence of this. Our room was old and dated. - The beds weren't comfortable. However the pillows were appalling, incredible uncomfortable and I woke up with a headache. - The walls are sooo thin. You can hear everything the neighbours were up to and I mean EVERYTHING. We lay there in the morning listening to our neighbour peeing. Pros - I was tired and it had a bed. - There was free wifi (be patient, it was slow). I wouldn't stay here again. There looked to be better places in town which were cheaper or a similar price. We paid $130 (talked the desk guy down from $135) and that was overpriced considering how old and tired the motel is. My advice - find somewhere else to stay. "A great stop for a weary business traveller"
My client put me up in the hotel, and I am happy to stay there again and again. I was lucky enough to get a refurbed room #118, not that I know what an unfurbed room looks like, was brilliant. Bed was super comfy, curtains actually blacked out light was extremley quiet, everything that makes a stay pleasant. The restaurant food was amazing, far exceeded my expectations, which is always good. Justin checked me in a helped me during my 2 night stay...big tick! I am pretty hard on the hotels I review, so this is a win! "Glad to have a BW stop!" After a few night in B&B's, which were terrific, we stopped our way to Adelaide in Mt. Gambier. Very friendly fellow at the front desk and we were given a recently renovated room. It was exactly what we were looking for. Clean, spacious and very comfortable not many places to walk to for dinner so we ended up driving. "Very noisy due to traffic nearby"
The room was comfortable but nothing special. The bathroom was dated. The biggest issue was the trucks on the main road. I would say that for the same money there are better valued motels in the area. Staff were good but not as sociable as in other motels I have stayed in while visiting the Mount. The decor was from the 70's. Some of the ugly lights didnt work. The carpets were putrid, filthy. The newly renovated bathroom looked great. but the shower wouldnt wet a stamp and it was cold. The only redeeming feature was the bed was clean and nicely made. I would never stay here again. Staff very friendly. Booked a double room, was very spacious,spotlessly clean,good tea and coffee facilities. Good location not too far from shops and sight seeing e.g., blue lake and sink hole. Ate in the restaurant for evening meal.great food reasonably priced. "Four Forgettable Nights - Absolutely Terrible." Let me start by saying i travel a lot. And lately a great deal through South Australia. This is my third trip to Mt Gambier in 3 months and i've tried a few of the local accommodations. This was far and away the worst. I arrived after having booked an executive suite to have the 'suggestion' of moving to one of the newer (albeit smaller) rooms. I have to be honest i was already wary as this is a go to move of hotels to leave their bigger rooms open for others but i fell into the trap and agreed to it. Let's start with something that is far more than just a 'nice to have' in the world anymore, the internet. It was near non existent. Even if you could manage to pull of a miracle and actually connect, (I was in one of there 'new' rooms and could barely get one bar on any device and it would drop out constantly) regardless, I couldn't even get on to Google. Secondly the lighting, it's like living in a cave. If you choose not to open the curtains (as they open directly on to the parking lot and street) then the light is absolutely awful. However the absolute worst part of this hotel though is the huge booming noises that come from people moving around on the second floor. These were not just in the daytime but all night as well. I could not work or sleep due to the noise. As well as this the sheets were as rough and uncomfortable as i've seen at a hotel. If they had been washed, you couldn't tell, and i had to remove them due to how horrible they were to have on me. Also as a smaller issue, there is no parking up to the door (like 90% of hotels in Regional SA) which means you have to hike your bags through the hall ways in search of your room. Water pressure lasts for 30 seconds and then disappoints to a dribble. -- For the sake of fairness i will say the bed is comfortable and the heater works well. - Conclusion? Stay somewhere else. Anywhere else. If you are a business traveler you will be hugely disappointed with this hotel. "always a pleasure...great staff !!" I stay at the Southgate on a regular basis for business travel and after a long week, the staff make you feel at home....the food is amazing here now with a new chef, the rooms are big and clean...even the un renovated ones have excellent heating, bathrooms and beds. Wifi is great amd you can even borrow a dvd. Pool is a great size...what more could anyone want? We stayed last month to attend a birthday party, where the hotel allowed the restaurant to be used as the function space, which was great for all of us who had travelled as it meant we could just walk inside and be at the function. We booked the three bedroom apartment which I would highly recommend even if you only had two couples. It was so spacious and the size of a small family home. It had everything we needed, extremely comfortable beds and couches and whilst it was a little dated, there was just nothing to complain about. The motel advised that all rooms were being refurbished so this one will be amazing once updated a little. The hosts were lovely and helpful. Walking distance to Woolworths (Safeway) to fill up your fridge etc if you needed to. Would be perfect to spend a week here. The only thing I would change if I had the chance would be to perhaps play some soft music when you first walk in as the desk was often unattended and the sound would create some nice ambience in the entry area whilst you waited. Will happily book here again if I am back in Mt Gambier. It's currently 4:50 am and I've been awake since 2:30 am.... The sounds of road trains /trucks is so loud that I feel like I'm actually sleeping on the highway itself! At times the room vibrates from the passing trucks...... the noise disturbance is really not conducive to a restful nights sleep. given I'm here for a work trip and need to be able to concentrate tomorrow is not ideal. Besides from this the room is clean and spacious with good heating, free Wifi and large TV. Perhaps rooms towards the front of the motel would be better. this room is one of the rooms at the back. If possible I would request a room as close to front of motel to reduce noise disturbance! Or alternatively stay somewhere else away from the main highway!! Stayed here for one night. Pros: comfortable bed, great heating, spacious, updated bathroom. Cons: shower had no pressure - couldn't even wash the shampoo out of my hair, booked a room with 2 beds but there was only one in the room, restaurant was booked out the night we stayed there. I stayed here for one night and had a positive experience. The rooms were very clean but dated, however they are scheduled for renovations which will be very positive for the motel. The staff was fantastic, my TV was broken and they replaced it immediately. The motel is close to the centre of Mount Gambier and a few minutes away from a big supermarket. Without its great staff this motel would have real problems. The staff were very friendly and went out of their way to help. The food and service in the restaurant were very good. The location is good and facilities were ok. There are notices saying it will be upgraded. This needs to be happening soon. The furnishings are tired and old fashioned as well as there being evidence of water damage in our room. To repeat myself without the staff these comments would have been a complaint. Very dated amenities at a relatively high price for a country city. Double glazed windows but proximity to main highway meant sleep suffered Breakfast was very basic and not cheap. The motel was not very close to the city centre. As a part of our drive around trip of South Australia, We started at Mount Gambier. We stayed at the Best Western Southgate. This motel was clean and the staff very helpful. They cater for the travelling salesman so the Restaurant is only open Monday to Friday. The food we had was of excellent quality (it was a coated and pocketed chicken) and full of flavour. The Blue Lake is definitely BLUE but we were told that at certain times of the year it mysteriously turns grey. "good location & handy to access all needs"
this is our second time to stay in this hotel. nothing really surprise me except we have been arranged to the room next to the busy doorway to car pak, tremendous noise has been occurred and it is a bit too noisy and i can hear every single person walking in and out of that door. pretty sad! We did not enjoy our stay of three nights; and consider the establishment to be of a standard inconsistent with our expectations of Best Western. The place looks tired. Unsurprising, because our room was original 1980's. or was it '70's? The hand basin was plastic, as was the toilet seat, but not quality. There was black stuff in the corners of the shower. The mattress was thin and not pocket spring so when one moved in bed, so did the other. The walls/floors allow sound from other rooms to pass through; but I highly commend the manager on his prompt dealing with the matter. The carpet in front of the side entrance had a hole in it and the windows around the central pool area were dirty, some with cobwebs. As alluded to above, the staff are great and the two stars are for them. Now all over the place there are notices that the property is being fully renovated. Every room is to be gutted and there was evidence of construction taking place. I would like to think that after the renovations the place will be up to scratch. But that mattress!! Location is good, but perhaps a little too far for walking to the city centre. Nice country motel. It needs s bit of an update as it is looking a bit tired. It is designed for business travelers as the restaurant is closed Friday. Clean and convenient. Breakfast closes a bit early on weekends. Comfortable and easy going facility. Ideally suited for my work base whilst here in the south east.menu comprehensive. Basic continental breakfast or cooked is available. Swimming Pool on sites. Will return. Stopped in for 1 night for work, room was basic however clean. Water pressure in the newly renovated bathroom was like a leaking tap, pillows where expired and thin as paper. Spa was 18 degrees and sauna wasn't working. Southgate Motel provided us with an older style room which was comfortable and clean. The in house restaurant was enjoyable and well priced. The motel was centrally located and close to the many attractions Mt Gambier offered. The staff were friendly and this proved a good stop over on out trip to the Great Ocean Road. Good location for us to visit blue lake and parks, walking distance to city center. A supermarket nearby. Big and clean rooms. Great for families to stay. Friendly and very helpful reception. Will stay again. We stayed for 2 nights on way to Adelaide. Had twin beds so enough room for the 4 of us. Rooms were clean and tidy. Is two levels and they have a lift. Restaurant wasnt open any night we were there. Opened for breaky was just ok nothing flash. Pool is good. Would be a good place to stay for work with free wifi. A one night stopover on our coastal tour from Melbourne to Adelaide so not the first Best Western we've stayed in along the way. As stated in previous reviews it is undergoing refurbishment and this does appear to be long overdue as the rooms are very dated and this isn't reflected in the price, ours was a good size room and was clean, we were a fair way back from the main road but could hear it quite clearly. The wifi signal wasn't great either! We didn't find the reception staff to be as helpful as previous hotels/ motels wasn't forthcoming with any information at all at check in, just the general direction of our room location, didn't mention any of the facilities the hotel or town has to offer or even the fact that renovations were taking place (found this out from reviews and notice in bedroom). Overall we found this Best Western to be average, if all you need is somewhere to lay your head for the night then this place will do. "Dated perhaps, but comfortable nonetheless"
The motel's undergoing a major refurbishment, so normal service may not be quite ... normal. Nonetheless, our room (awaiting refurbishment) was clean, comfortable, and provided an excellent shower - water pressure in Mount Gambier is high. Free wifi was secured (many places have totally unsecured connections, so you can't, or shouldn't, access anything that might contain private information) - well done. Dinner was enjoyable, although you don't dine on Friday, Saturday or Sunday. There are numerous restaurants of diverse levels of cuisine in the area, so hunger isn't an option. Breakfast was good, with the usual choice of continental or cooked. Contrary to the experience of other guests recorded here, we found our welcome was cordial and warm. Went there for a fiction and the front receptionist was rude!!!!!! Very rude. People including myself arrived 10-15 minutes early and she was just rude to all of us and it was like she was angry we arrived early. For someone that works at the front counter I think they need to be friendly and welcoming. Very rude and won't be returning or recommending. "Old old old old old"
Wow retro it wasn't!!!! Dirty no filthy carpet in room. Bathroom smelt like something had taken its last breath in there. I understand the hotel is in the process of being updated so I feel maybe it could get better but after a long drive I was very disappointed lucky for me it was just 1 night. If I had stayed longer would definitely have moved somewhere else. "Stayed two nights passing through"
Very large rooms, good off street parking. Had restaurant for breakfast and dinner. Hotel undergoing extensive renovations and rooms at present a little dated.... expect it to be another half star within a month or two as more rooms are renovated. Didn't have dinner but breakfast was very good... walking distance to town centre. Recommended. Stayed here recently for 3 nights on business, and was pleasantly surprised at the changes they've made. Stayed in one of the recently (long overdue) refurbished rooms, which is spacious, has an incredibly comfortable king size bed, all new furniture and a lovely new bathroom. Room to room noise is very minimal, as is the street noise, and would recommend upstairs room to minimise hearing people above you, if that bothers you. The other areas of the motel are still tired and in need of a facelift, but if these recent changes are anything to go by then things are looking good. Would happily stay here again-it's close to the centre of town, has a decent restaurant, and represents good value for money. "Time warp - needs update"
the staff are extremely good. friendly, efficient and polite. but the decor in the reception and first floor landing is very dated, and the rooms are also dated. the lighting needs updating, the bathrooms, and bedrooms all feel like 1970's. Great size rooms, very clean, comfortable bed, but compared to other BW and other accomadation need to spend some money back into the business. "Seriously dated room, attitude and Qantas FF points chase"
Looks can be deceiving. Foyer, reception and bar areas look inviting, but my room was so dated, bordering on dangerous, I couldn't believe it. Lowlights - room was very dated and in urgent need of updating, lighting was very dim, cupboards filthy, breakfast set up confusing, some staff attitude left much to be desired. Highlights - reasonable rates ( only just ), bed very comfortable. Hopefully the photos will tell the tale. Breakfast in restaurant, very confusing pricing and set up. I couldn't work it out and I'm Australian, but heard disparaging remarks by staff after Asian clients couldn't understand concept. Not sure if the person was Manager or Owner, but was abrupt, a bit arrogant and had no idea how Qantas FF point system worked. He said I couldn't double dip after paying with Qantascash Mastercard. I had to chase up points with Qantas, who credited me points. This is one of the very few times I have taken photos of a room, usually it is because the room is so spectacular. I booked for the Mt Gambier racing carnival and stayed 3 nights and looking to do the same again in future years, however, WILL NEVER stay at this joint again. Hello, Firstly its nice to read that you actually enjoyed some of your stay. But I am very disappointed in your review and find it grossly inaccurate and misleading. Your claims of our rooms "bordering on dangerous" are ridiculous and its an insult to our business. I also cannot understand how the breakfast menu & set up is confusing, we have never had a complaint about our breakfast setup ever. I am totally confused with your claim about the Asian guests, I can see what your implying and that is extremely disappointing because our valued Asian clientele are a big part of our business. 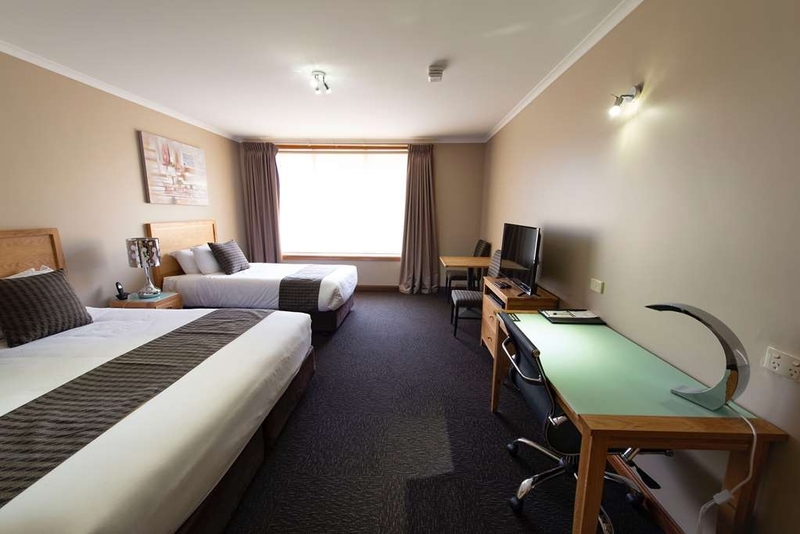 We are also in the process of a full renovation which will position us well in the upscale places to stay in Mt Gambier. I would like to suggest that travellers judge us on their own experiences and not that of a guest that makes wrongful claims..
"Don't leave without ordering breakfast"
Spacious clean room. Currently doing a few renovations but it did not interfere with our stay at all. Breakfast was delicious and great selection of choices on buffet and continental menu. All staff members at reception, dining and cleaning were very friendly and welcoming. This motel was in a good location with very little traffic noise at night.. Close to CBD. Our room was very spacious, a little dated and the carpet was badly stained. The bed was clean and comfy. The bathroom lacked ventilation. Lift or stairs to the upper floor. A good mid-range motel. Thank you for completing your feedback regarding your recent stay at our property. Your business is very important to us and we value your feedback. By telling us what you liked about your stay and how we can improve, you are helping us deliver a superior experience for you and other guests in the future. We hope you will come back and see us again soon. Hello and thanks for your feedback On behalf of our entire team, I would like to apologize for not exceeding your expectations. Your satisfaction is important to us and we will be using the feedback you gave us to implement improvements to ensure we offer a better experience for guests in the future. I definitely feel we were given the worst room in the motel as I dared have the cheek to book on a booking site and saved 2.00 We arrived in an unknown area early evening. We were the first room by the elevator and although most rooms overlooked the pool we over looked the air conditioner unit and the roof. Considering the motel was virtually empty , this is what we got. The carpet was stained and seemed dirty..on a positive note the Wifi worked well..Certainly not up to Best westerns standards. We stayed for 3 nights and had a king executive room. It was very large and very comfortable. The bathroom was very large if a little dated, but still clean and very functional. There a large sitting area and a table and chairs and sofa so plenty of room to relax and read, watch TV etc. Free wifi worked well. Car parking was ample and within the fenced area, close to the room. Dinner in the restaurant was very nice with good service. This motel is perfectly located as about 200 metres from a big supermarket and a few other shops and a little further then into the full shopping Centre, hotels, interesting sights etc. Very walkable. As we wanted to extend but couldn't due to the whole of Mount Gambier being booked out, the owner was very helpful in helping us find accomodation further north in Coonawarra. The only down side of this King room was that it was the closest to the highway, with logging trucks etc plying the highway all night. The first night was a bit noisy but the second better and the third (a Friday) very quiet. Double glazing windows certainly helped. All in all, we would be happy to stay there again if passing through beautiful Mount Gambier. "Basic older style motel but good." Light, clean room with plenty of space and well-designed bathroom except for lack of extractor fan. Best shower ever -- hot, brilliant pressure. Wi-Fi easy to log in and fast. Located on main road so some road noise till late evening. "Two adults, four kids and a dog"
We've got four kids and a guide dog puppy so finding a place to stay can be tough. The people at the Best Western have an "apartment" with three bedrooms that slept all of us and were happy for our service dog to stay in what is usually a pet free motel. Thanks guys! The room itself was fine, perhaps early nineties vintage. Bathrooms were dated but clean, beds were hard but similarly clean. The master bedroom had a small en-suite which was nice. There was a new 50" TV for the kids to watch and free DVD's at reception for them too. Foxtel was on offer but there were only two or three channels, not worth watching. The full kitchen and dining room was great for us too. The room was a bit odd as there was a locked door opening into the main office of the motel, making us think the apartment was formerly live-in quarters for the owners. Our only real complaint with the room was the dire need for a change of carpet (or perhaps putting in laminate flooring). The carpet was worn and stained heavily. Overall it was decent accommodation at a reasonable price that slept all of us comfortably. Booked the Apartment which must have been the residence of the previous Motel owners. Don't let first impressions of the apartment get the best of you. Once you live in it, it is actually very comfortable with all the amenities for a fully self contained apartment provided. There is a door that adjoins the main office which is a little off-putting (you can hear them sneeze) and it was knocked on to see if we wanted new towels once, but we had a chuckle about that. Beds were great (clearly new), everything clean, massive TV and surround sound, book case (stocked) and a/c available in every area. Great value for what you pay and although it is a bit like going to your grandmas, it is great for a family for a few days. Wife was happy with a washing machine and dryer but complained there was no clothes horse or line........ but there are no pleasing some people is there? Definitely recommend if your not fussy. Would I stay again..... probably yes. Well this was my first time staying in a motel. It was fine. Staff were friendly. We've been staying there on Christmas day. Be careful of you do that. Staff are not available all the time on Christmas day. Basically the whole city is shutdown partially. Friendly advice: Get something to eat for that day, the day before. "As good as I could have expected"
The staff were exceptionally helpful and Friendly. 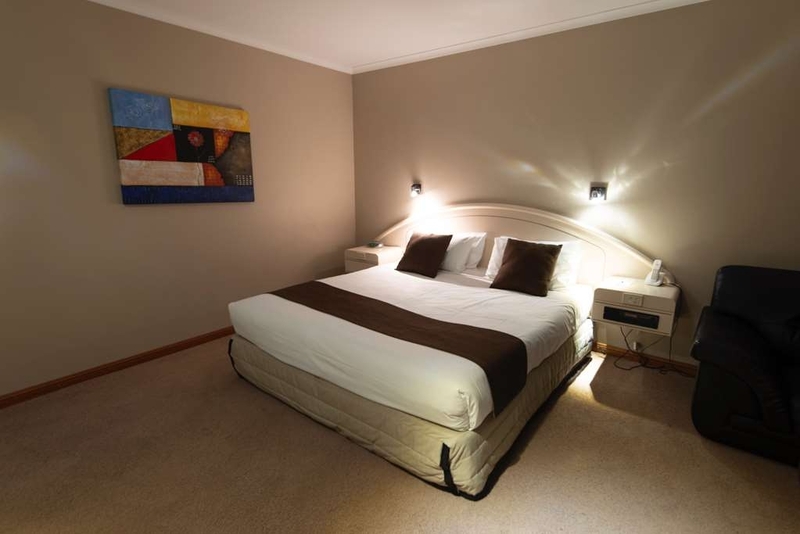 The room was very clean and as described, our family of four were well accommodated. All round we were happy with everything and would recommend staying in a typically Australian motor inn that is good at what it does. 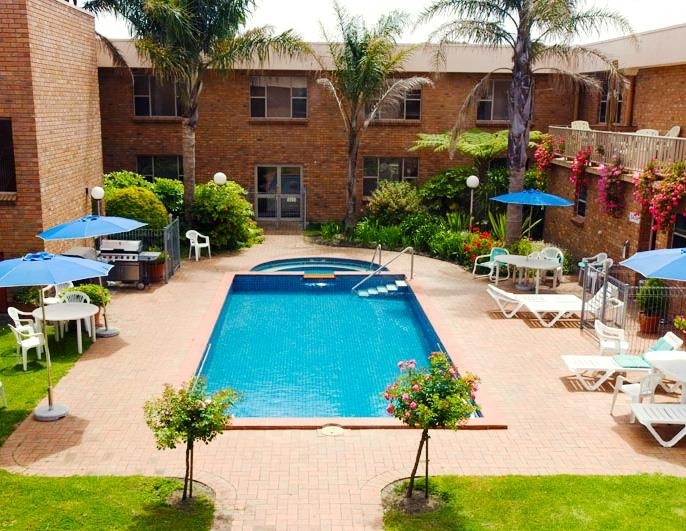 "One night stay at mount gambier"
I had chosen the apartment unit as the family wanted to stay together. The apartment is very big and has many doors leading outside! One of the door leads to the hotel office! Kids didn't feel comfortable with so many doors. Apart from nice beddings, the apartment was quite dusty. We stayed here 2 nights. First morning we woke to a sound like a anchor chain running through metal near our room at about 6.oclock in the morning. We complained and it was better the next day. The fan in the shower didn't work, we asked for it to be fixed and were told that the fans were on a timer and didn't work all the time. We obviously don't shower or other more basic needs at the allotted time. When I'm trapped in a room with my husband I NEED a fan in the bathroom!!! One other point you do get an interesting night as you can hear everything thats said nextdoor. "Dated decor, poor renovations and old fittings - Stuck in a time warp!" More effort and money has been spent on the foyer of this motel than anywhere else. It is just a front. The room we had included a spa. The entire bathroom was a dated affair, there was no extractor fan, the spa was poorly fitted and was dated. Old items had been removed with metals plates left on the tiles. Overall uninspiring, Despite this, I was willing to overlook this as I was tired and just needed a comfortable bed for the night. No, not to be, the dated bed head with out of date radio was at the top of a very uncomfortable cheap overly soft mattress, There was no support and I was only able to get 4 hours sleep. After this, I decided to look around, The ironing board had an ancient burnt cover, The crockery was average and dated and the lighting was also poor. I am sorry but with the poor bedding and lack of sleep provided this Motel failed in achieving its primary function. An influx of energy and money would be great to see at this motel. By the entrance, foyer, friendly staff, your expectations are quite good and feel comfortable about your choice of accommodation- till you get to the room. The first room I was given had a major problem with rising damp, peeling paint up the wall and in the bathroom the power point had a 1 cm crack totally through. I was not at all comfortable with this and asked for my room to be changed. The staff were very accommodating and did so. They told me they were about to commence a refurbish. I hope so, the place is in real need, flicking lights in the hall ways, a cover on a fire alarm hanging from the roof. Overall, the place is pretty run down but the staff were great, I hate to think how many time they have to apologize to guests each day. "Easy to find & large clean rooms"
This a really easy place to find & very accessible & quiet. Reception was a breeze, friendly & lots of local knowledge on where to eat, visit etc. The rooms were not the newest but being an older motel the bonus is that the rooms were very large. They were spotless & very comfortable & ticked all the boxes for us. Good reasonably priced breakfast in the restaurant too. "Old style hotel and rooms - but does the job." This hotel is and looks rather old. I think I had one of the older ground floor rooms, as I asked for a room with access to the car park. One door from the room led to the internal corridor and the other door to the car park. The rooms are spacious and clean. Fridge, cable TV channels, Free WiFi, normal amenities. There is an on site pool / spa and a sauna, which I did not use. The hotel has a different feel about it, but it is a budget hotel and all went fine. "Definitely in need of some renovation"
Would not bother staying here again, rooms very dated, towels were a dirty grey colour (originally white I guess). I think a complete renovation would be a good idea as there are plenty of other options in Mt Gambier. Breakfast was good, but I am afraid we will not be back. "Large clean rooms - friendly service"
"A bit dated, but value for money"
Small town hotel, all the basic things one is interested in during a short business trip - free internet, on-site restaurant, sizeable rooms. comfortable beds, easy climate control. Noise carries a bit of neighbouring rooms. "Old, nothing special, will look elsewhere next time in town"
Very old looking inside - needs serious work - bathroom looked very 80's. Dirty - hairs on the toilet seat and in the shower. Leaking toilet, which when i informed them at checkout - didnt seem to care. Old bedspread, old furniture. Aircon worked at least.